Consisted of a dynamic group of graduate student researchers from the University of California Santa Barbara's Bren School of Environmental Science & Management. With undergraduate degrees ranging from economics to biotechnology, the team is extremely passionate about pollution prevention, the marine environment, and corporate social responsibility. Nicholas is a MESM candidate from the Bren School who specialized in Pollution Prevention and Remediation. He is especially interested in marine pollution, in particular coastal water quality. Nicholas has a B.A. in Economics from UC Santa Barbara, with work experience in environmental consulting, product design, and business development. Nicholas spends his time climbing, surfing, and kitesurfing. Steph is a MESM candidate from the Bren School who specialized in Corporate Environmental Management and focused in Eco-Entrepreneurship. 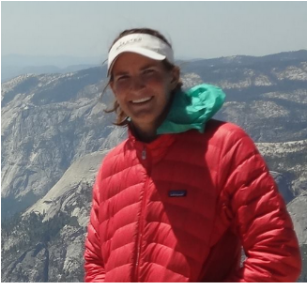 She has a keen interest in corporate sustainability which is why she was particularly drawn to working alongside a forward-thinking company like Patagonia. Steph spends her free time hiking and playing ultimate frisbee. 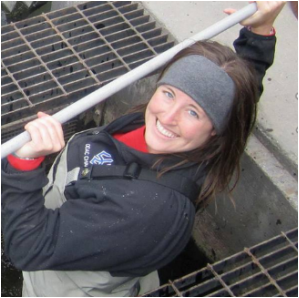 Bess is a MESM candidate from the Bren School who specialized in Coastal Marine Resource Management and Conservation Planning. A native of Mississippi and frequent inhabitant of Virginia, Bess has an economics and creative writing background with work experience in ocean policy and watershed conservation. She has a keen interest in the human-ocean interface which is why she was particularly drawn to the Patagonia microplastics project. Bess spends her time swimming, hiking, dog sitting, and begging people to teach her how to surf. Shreya is a MESM candidate and Eco-Entrepreneurship Fellow from the Bren School who specialized primarily in Corporate Environmental Management. Her secondary specialization was Pollution Prevention and Remediation, the interest for which grew during her Bachelor of Engineering degree in Biotechnology in India. Before moving to California, Shreya interned with Novozymes' House Hold Care division where she formulated enzyme blends for detergents and assessed their wash performance on artificially stained fabrics. She enjoys solving puzzles, cooking and making DIY.